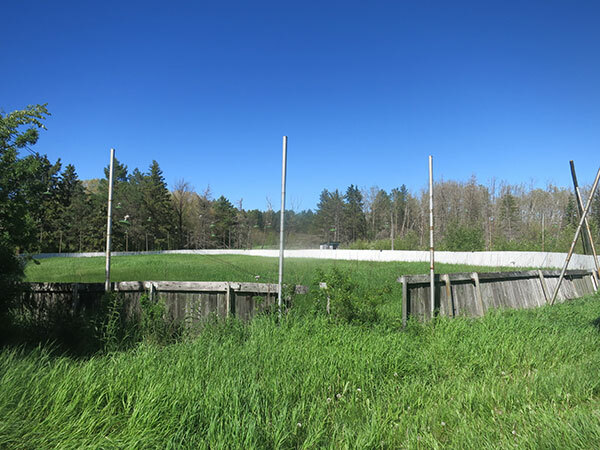 In August 1941, the Ukrainian Redemptorist Fathers arrived at Roblin, in what is now the Municipality of Roblin, to establish the Redemptorist Fathers College. Later that year, a two-storey brick building was constructed at a cost of $40,000, based on a design by priest-architect Philip Ruh. 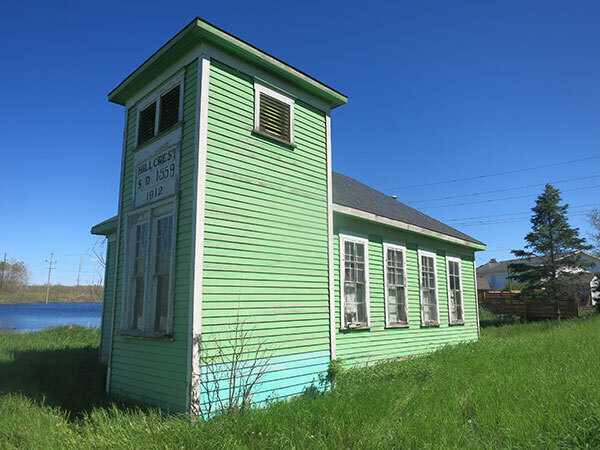 Starting in January 1942, the priests provided high school classes and spiritual instruction to seven boys who had transferred from a seminary at Yorkton, Saskatchewan. In later years, students were also encouraged to participate in extramural sports, especially hockey and football, and in the college’s choir as well as Ukrainian dancing and other cultural activities. 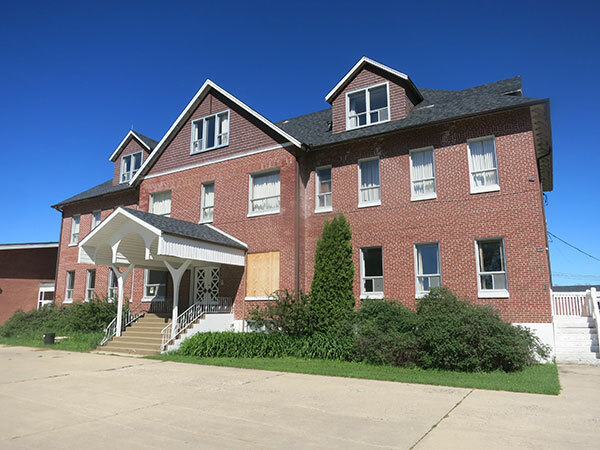 At one time, the college was the only Ukrainian Catholic minor seminary (educational facility for teenage boys wishing to become priests) and boarding school in Canada, and the only Catholic high school in Manitoba outside of Winnipeg. Until 1951, the college operated without accreditation and, as a result, produced no high school graduates during its first nine years of operation. It was closed between 1951 and 1956 to enable a group of young, Canadian-born priests to attend the University of Manitoba to receive BA and BEd degrees, thereby becoming certified teachers. When the college reopened as St. Vladimir’s College in 1956, it hosted 22 students in grades 8, 9 and 10. Later, it focused on grades 9 to 12 and, after 1984, grades 10 to 12. Its first graduating class, in 1958-1959, had five students. From the 1960s to 1980s, its average annual enrollment was between 40 and 50 students, peaking at 65 in 1975, with 13 to 15 graduates each year. Students came mostly from Manitoba communities but a few were from other provinces and American states. A chapel inside the original two-storey brick building hosted Ukrainian Catholic services for adherents in the Roblin area until the adjacent Holy Redeemer Ukrainian Catholic Church was constructed in 1961. 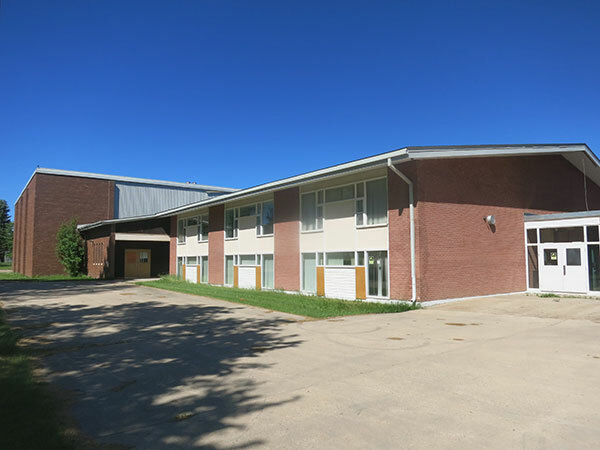 In the fall of 1961, a new wing containing classrooms, laboratory, recreation room, and dormitory for 108 boys was opened officially by Premier Duff Roblin. It was attached to the original college building, which continued to be used for administrative offices, dining room, kitchen, small chapel, and staff living quarters. Around 1969, the former Hillcrest School building was moved to the site to be used as a small museum. A library was established in 1977. A large addition on the north end of the facility, designed by Winnipeg architect Victor Deneka, was constructed between 1985 and 1986 to commemorate the millennium of Christianity in Ukraine in 1988. It contained a gymnasium, stage-theatre, new washrooms, and change rooms. Its cornerstone was blessed by Cardinal Myroslav Ivan Lubachivsky on 1 June 1986 and it was opened officially on 5 April 1987. The college’s library was renovated and expanded at the same time. Other renovations included a new computer room, typing room, audio visual room, and an expanded kitchen. The project was completed at a cost of about $1.3 million. In 1995, with dwindling numbers of priests, operation of the facility was taken over by the Archeparchy of Winnipeg and teaching duties were assumed by lay teachers rather than priests. In its final years of operation, the college suffered from dwindling student enrollment. After the last class of seven students graduated in June 2002, the college closed and its contents were sold at auction in October 2004. The buildings, except for the church, were purchased in 2007 by an entrepreneur from Vancouver who planned to use them for university-entrance instruction to students from South Korea, in collaboration with the Mountain View School Division. He put the property up for sale in 2013 and auctioned off its equipment in 2015 but was still in possession at the time of a 2016 site visit. Paul Bakan (music, advanced Ukrainian), Taras Veryha (English, Ukrainian), ? Shell River Municipality, Century One, 1884-1984: Memories of Roblin and Rural Districts by Roblin History Book Committee, 1986, volume 1, page 221. Omicron [St. Vladimir’s College yearbook], 1974-1998, Archeparchy of Winnipeg Archives. Fifty Steps Forward - The 50th Anniversary of St. Vladimir’s College, 1991. “History of St. Vladimir’s College,” St. Vladimir’s College website (www.stvlads.net), Internet Archive. “Principal Cap excited about being back at SVC,” Roblin Review, 23 October 2001, page 3. “College suspends operations,” Roblin Review, 18 June 2002, page 1. “Seven graduate from St. Vlad’s College,” Roblin Review, 2 July 2002, page 7. “St. Vladimir’s College: success or failure?,”Progress - Ukrainian Catholic News, 14 March 2004, page 10. “Auction sale: St. Vladimir’s College inventory,” Roblin Review, 21 September 2004, page 18. Redemption and Ritual: The Eastern-Rite Redemptorists of North America, 1906-2006 by Paul Laverdure, Yorkton (Saskatchewan): Redeemer’s Voice Press, 2007. “Koreans to learn English at former Roblin seminary,” Winnipeg Free Press, 22 February 2007, page 6. “College may turn Roblin into new ESL mecca,” Brandon Sun, 12 July 2007, page 4. “Did we do enough,” Roblin Review, 26 February 2013, page 4. “Yun not giving up,” Roblin Review, 12 March 2013, page 3. “St Vladimir College Auction, 21 June 2015,” Garton’s Auction Service. We thank Gloria Romaniuk (Archeparchy of Winnipeg Archives) for providing access to archival information used here, and David Lisowski and Taras Veryha for providing additional information.